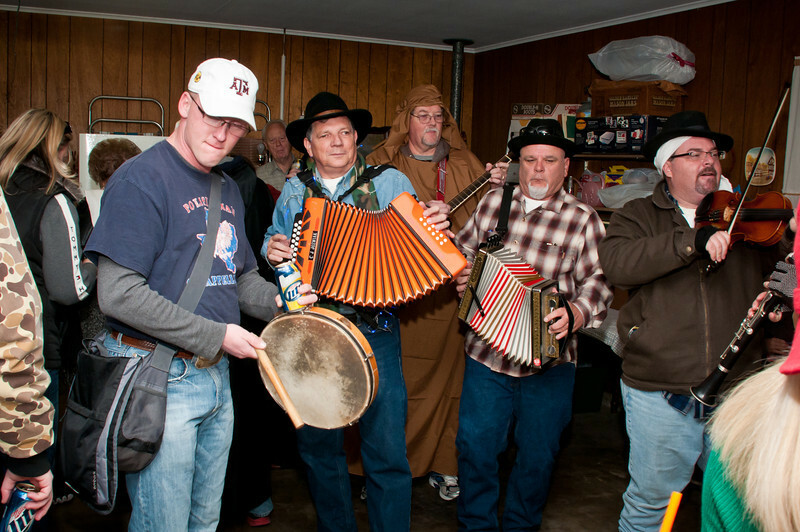 At 12:45 PM on December 29, 2012, an enthusiastic group of kolednicy or Polish Christmas carolers began singing old time carols on the steps of St. Stanislaus Catholic Church, a historic Washington County parish that was founded in 1889 by early Polish immigrants to Texas. The weather was windy and cool but overall it was a beautiful day for the 5th annual Kolędy Polskie in Chappell Hill. St. Stanislaus’ pastor, Father Jozef Musiol, a native Polish speaker with a great singing voice, helped Mike Addicks, Dr. Jim Mazurkiewicz, Mike Kurtin and Brian Marshall lead the group of about 75 singers of all ages. 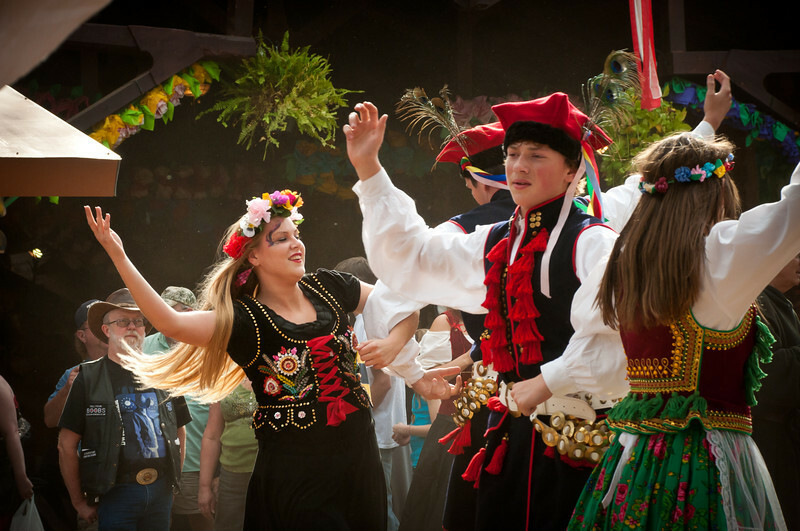 The Texas Renaisance Festival in Plantersville, Texas hosted Barbarian Invasion Day on Saturday, November 10, 2012 but the Polish Pub also sponsored a Polish Day celebration. When the grand parade started, there was a large group of people dressed in traditional Polish folk attire carrying the Polish Pub banner and a large Polish flag. 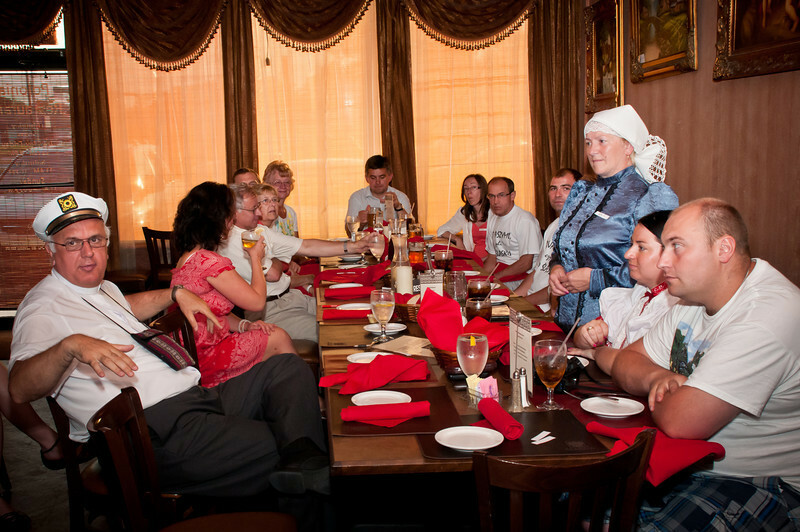 A group of Polish citizens from the Silesian region of Southern Poland visited Our Lady of Czestochowa Catholic Church in Houston on June 14, 2012. 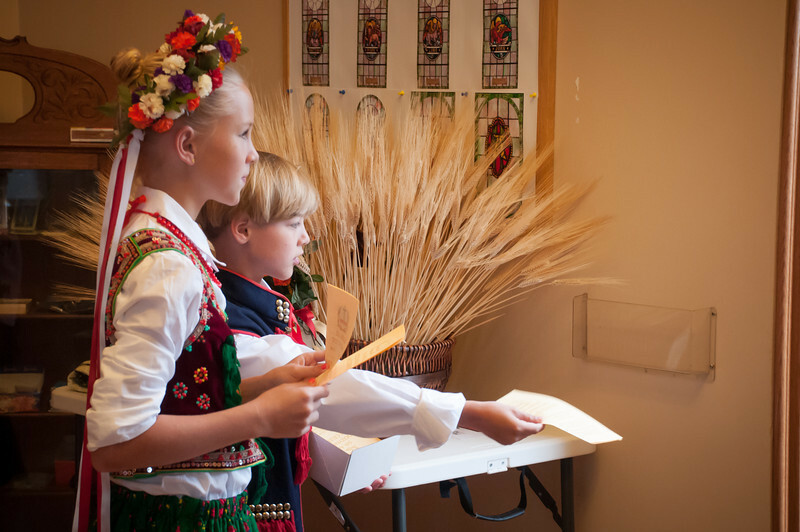 Led by Monsignor Franciszek Kurzaj, better known as Father Frank, the group came to nearby Polonia Restaurant for good food, fun, music and singing. 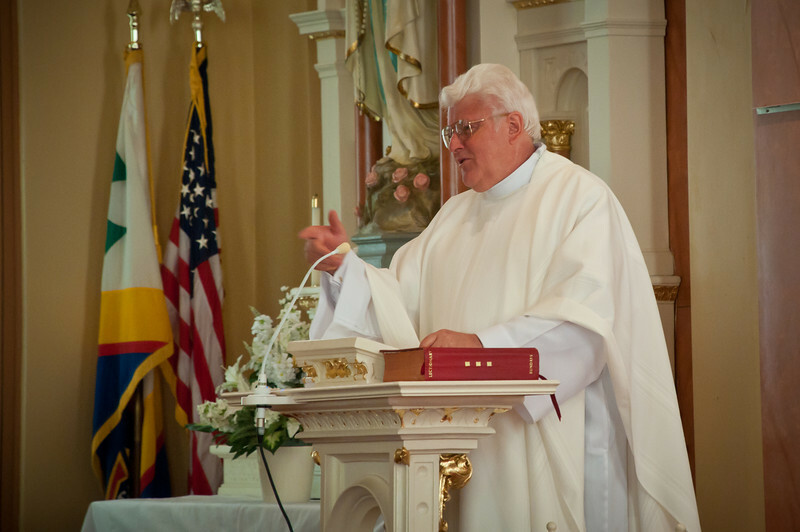 Father Frank, pastor of St. Paul’s Catholic Church in San Antonio was born in Silesia and came to America in 1986 where he served as pastor of Immaculate Conception Church in Panna Maria. Friends, family and parishioners of St. Stanislaus Catholic Church gathered in Chappell Hill Texas on Sunday, June 3, 2012 to celebrate the 40th anniversary of Father Jozef Musiol’s religious vocation. Holy Mass was celebrated at 9 am by Bishop Joe Vasquez and concelebrated by Fr. Jozef Musiol, Msgr. Boli Zientek and Msgr. Ben Zientek. Escorted by Fourth Degree Knights of Columbus members in full regalia, the Mass procession included the bishop, priests, deacons, acolytes, altar servers and a group of the parish CCE children. Many of Fr. Jozef’s friends and former parishioners were present at the Mass. 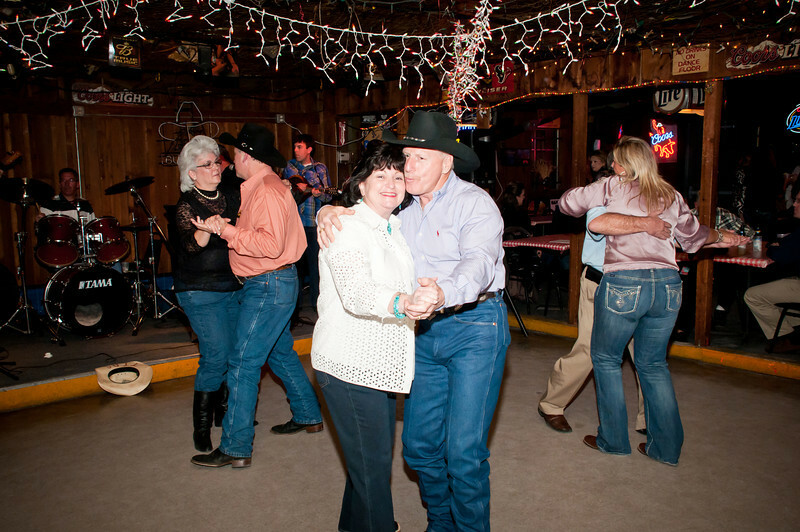 Brian Wisnoski and James Mazurkiewicz, two men who have been heavily involved in the preservation of our Polish heritage in Texas, celebrated their birthdays in March with wild parties. There was plenty of good food, good times, liquid refreshments and talented entertainers at each party. In these modern times, many people have forgotten that the traditional Christmas season lasts for 40 days, from Christmas Day until Candlemas or the feast of the Presentation of the Lord. 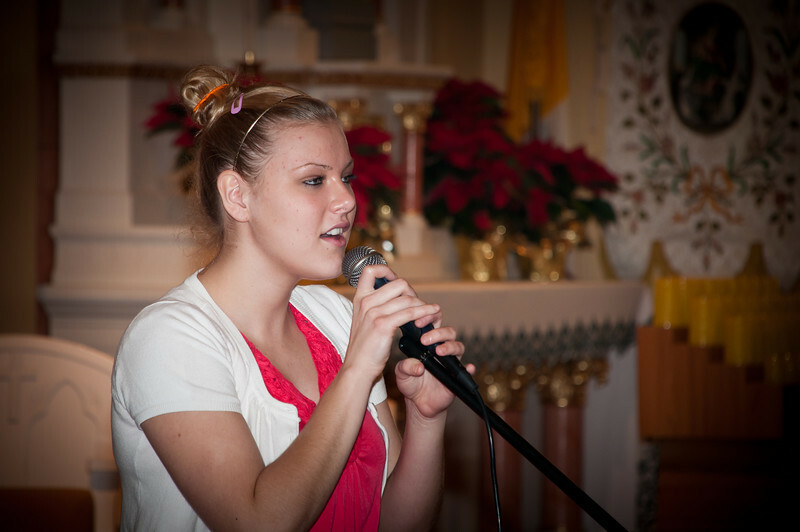 The parishioners of St. Stanislaus Catholic Church in Chappell Hill Texas were reminded of this tradition on Sunday, January 22, 2012 by a beautiful kolędy concert held in the church. Kolednicy z Houston or Christmas Carolers from Our Lady Of Czestochowa Catholic Church in Houston arrived in Chappell Hill for the 9 am Mass. 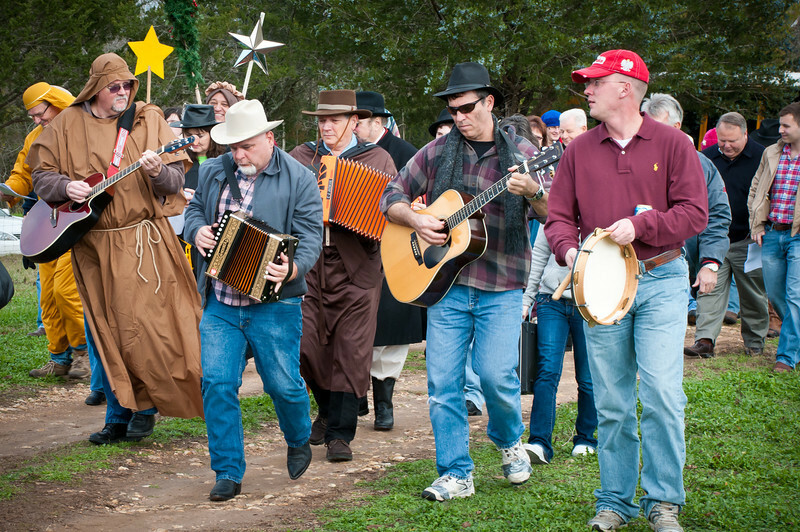 It was raining and cold in Texas on the morning of December 26, 2011 but the skies cleared just in time for the annual St. Stephen’s Day Kolędy Polskie in Chappell Hill. At 1 PM, an enthusiastic group of kolednicy or Polish Christmas carolers began singing on the steps of St. Stanislaus Catholic Church, a historic parish that was founded in 1889 by early Polish immigrants to Texas. St. Stanislaus’ pastor, Father Jozef Musiol, a native of Poland with a great singing voice helped Mike Addicks, Dr. Jim Mazurkiewicz and Brian Marshall lead the singing group. Two other priests helped with the Polish singing, Washington County native Msgr. Boleslaus Zientek and Houston’s Our Lady Of Czestochowa pastor Fr. Waldemar Matusiak.